Have you jumped on the green smoothie bandwagon yet? The incorporation of green smoothies into your diet is one of the first steps to adopting a healthier lifestyle and improving your overall health. However, in order to make a green smoothie, you are going to need a high quality blender to mix your ingredients. This is where the Omni Blender steps in to be of assistance. There are thousands of satisfied customers who will attest to the superior results and durability of the Omniblender, and you are invited to check out for yourself and see what all of the fuss is about! Careful planning and forethought has been placed into designing each aspect of an Omni blender. For example, its compact size has been engineered to minimize the amount of counter space it requires for storage. Likewise, do you hate hearing the jarring noise of a standard blender when you are making your green smoothie first thing in the morning? 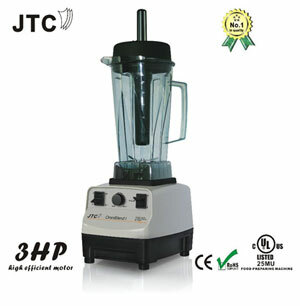 Due to the superior design of its motor, this 3hp blender is 20% quieter than its competition on the market. Now, you do not have to worry about purchasing a separate sound enclosure just for your blender! Of course, when it comes to making green smoothies, the most important aspect of choosing a blender is selecting one that is going to offer unsurpassable performance. The Omni blender has you covered here as well. From its powerful 3 horsepower blender to the stainless steel alloy used in the engine’s construction, each component has been designed to render maximum performance. You will never have to worry about finding unprocessed chucks of fruits or vegetables floating in your green smoothie ever again! The manufacturers behind Omniblender are so confident that you are going to love their product that they offer a 30 day, money back guarantee on each blender that they sell. 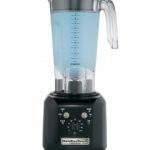 Furthermore, they are so confident in the 3hp blenders that they have produced that each blender is backed by a comprehensive, 7 year warranty on both parts and labor. 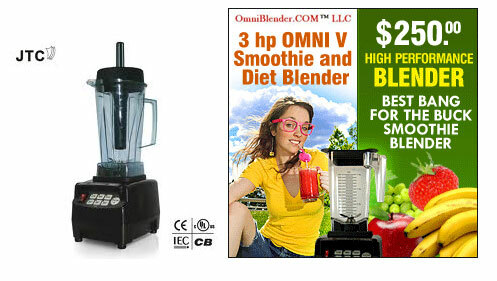 With this kind of confidence placed in the Omni blender, how can you go wrong? It’s already been established that the Omni blender has one of the most powerful motors of any blender on the market. The 3 horsepower motor of the Omniblender is going to ensure that your green smoothie is made right the first time around! Did you know that the Omni blender is also energy efficient? With a watt consumption ranging from 450-2,200 watts, depending upon which speed setting is used, it is more energy efficient than other high performance blenders on the market. Additionally, with a noise output of only 85 dB, it is approximately 20% quieter than its competition. Blades can reach up to 35,000 RPM. When you choose to invest in a blender for the purpose of making green smoothies, you will want to ensure that you are choosing a blender that will provide you with many years of service. Superior construction is one of the key components of a high quality blender. It has already been mentioned that the motor and blades of this Omni blender are constructed from stainless steel, but did you know that the jars and containers of this Omniblender are constructed from high quality, food grade polycarbonate? These materials are BPA free, and they meet the highest standards of the FDA and the European Commission for Food Safety. Meets the standards of the FDA and European Commission for Food Safety. Capable of holding up to 50 flow ounces. Capable of withstanding temperatures of 210 degrees Fahrenheit. Features black, safety tamper tool. In addition to providing superior results when blending your green smoothies, the Omni blender is packed full of safety features to protect you and your Omniblender. For example, in the unlikely event that your Omni blender was to become clogged, this 3hp blender features a safety tamper, which eliminates the need for you to stick a fork, spatula, or other object into the blender. 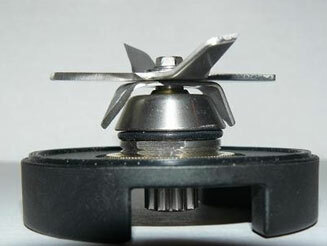 Likewise, the Overload Protection Switch is designed to prevent damage to the motor of the Omni blender. From power outage overload to overfilling of the blender, this switch will ensure that the motor of the blender is not overly strained. Overload protection switch to prevent damage to the motor. 12 gauge power cable with ground protection. Nonslip base to prevent shaking or accidental knocking over of the blender. When you purchase a new car, you can expect to pay a considerable amount of money for additional features and amenities. However, this is not the case with the Omni blender! 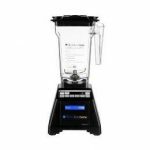 The Omniblender features three different speed settings for you to choose from and three different timer settings. You can customize the settings for your green smoothies according to the ingredients that you use in your recipe, conserving energy and producing results each time. Additionally, this blender also features superior pulse action, which allows you to do everything blending ice cubes to kneading bread dough. Invest In Your Own Omni Blender Today! From the moment that you first use the Omni blender to make a green smoothie, you will be able to taste the difference! This high performance blender features a high powered motor with six different blades to ensure that there are no pulp or leftover chunks of fruit or vegetables in your smoothie. You can even use the Omni blender to crush ice to make a refreshing and cool fruit drink. The options are endless with the Omni blender! 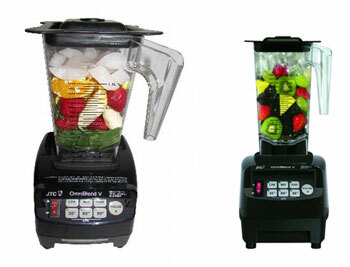 One of the biggest advantages of investing in your own Omni blender is that the Omniblender is low maintenance. To clean the pitcher of the Omni blender, all you need is a simple bottle brush. Water and dishwasher soap are all that is required. The included user manual will provide instructions on how to clean this blender. The Omni blender keypad is protected by a plastic cover, so you do not have to worry about getting it wet. 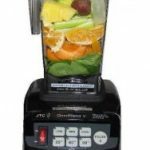 Omni Blender LLC, the manufacturer of the Omni blender, is so confident that you will fall in love with your investment that they offer a 30 day, money back guarantee on your purchase. 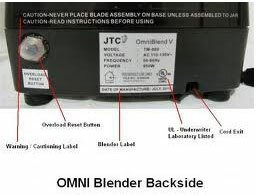 Additionally, each Omni blender that is purchased is back by a comprehensive 7 year warranty on all components of the blender and the labor that would be involved in repairing it. However, as many of satisfied customers will attest, there is very little chance of your Omni blender ever needing repair. There is virtually no risk to you when you choose to invest in an Omni blender. 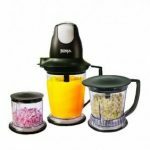 These 3hp blenders are priced affordably, and if you want to enjoy a great tasting green smoothie, then purchasing your own Omni blender is a must! 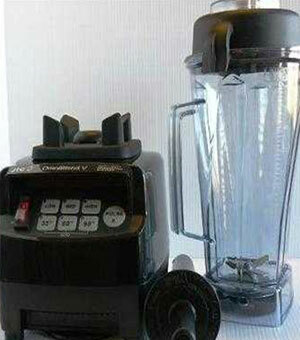 Get Your Own Omni Blender Today! WHERE TO BUY THIS ITEM IN THE PHILIPPINES?